The Holt is a beautifully refurbished traditional coaching inn dating back to the 15th century with all the comforts of a modern hotel. Nestling on the edge of the Cotswolds in picturesque Oxfordshire, ideally situated close to the M40 and to many local attractions such as the city of Oxford, Blenheim Palace and Bicester Designer Outlet Shopping Village. Serving the warmest hospitality since 1475, from its early days as a coaching inn, the Holt has been one of the most popular hotels in Oxfordshire and not always with the most honourable clientele. Notorious highwayman Claude Du Vall often frequented the inn, spending his ill-gotten gains from the road, and is said to haunt the hotel to this day. With accomodation varying from single rooms to four-poster bedrooms with Jacuzzi, the Holt's facilities will satisfy the most demanding traveller. An enviable reputation for it's conferences and seminars in a choice of seven suites, all with natural daylight and a range of overnight packages, you may rest assured we know what we're doing. Weddings are a delight at the Holt and with a licence to hold civil ceremonies our expertise and experience will guide you through your special day. The Holt began life as a small trading post with a mere 6 bedrooms. This is a far cry from the 86 bedrooms now under its roof; however the charm and character of the building are still in tact. Being independently run, we are able to adopt an innovative approach, tailoring the Holt to suit the needs of every guest. Our international team are always pleased to welcome both familiar and new acquaintances.  The Holt boasts 86 bedrooms, all individually styled and with their own en-suite bathroom.  Smoking and Non-smoking rooms available, we also have a good proportion of ground floor rooms for easy access. 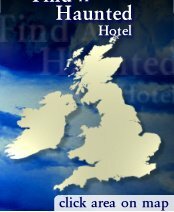  Every room has a Trouser Press, Hair Dryer, Colour Television, Direct Dial Telephone, Tea and Coffee Making Facilities.  We have a 24-hour room service menu available.  Laundry facilities include a same-day dry cleaning service, iron and ironing boards available on request.